If you are interested and have decided to become a pilot, you will probably have many questions going on in your mind. You may want to find out what kind of training and qualifications you need to become a pilot. However, the bigger question would be what club should you join. Here’s the answer: Before ever you can qualify for a pilot’s license, you need to undergo training at an approved training facility. So, here’s just a few flying clubs you should know about to proceed. 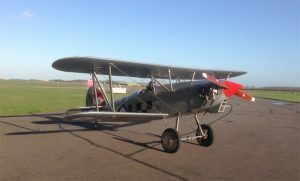 The Bristol Aero Club is currently based in Gloucestershire Airport and is run by volunteers. It was created in 1994 to promote the interest of pilots who sees flying as a social activity and they welcome everyone to join them. It is a not-for-profit flying club and they aim to share the possibility of flying privately at an affordable cost. They are supported by a team of highly experienced and qualified instructors who provide high standard training courses and instruction. They are regulated by the UK Civil Aviation Authority and have aircrafts that are equipped for use by disabled pilots. For about fifteen years, the Sherwood Flying Club have successfully trained pilots all over England. The instructors at Sherwood are volunteers who are both experienced and qualified. They have well maintained aircrafts with flying rates that are among the most competitive in England. Students and qualified pilot are warmly welcomed at Sherwood flying club. The Cambridge Aero Club is among the UK flying clubs that have been awarded the status of an Approved Training Organisation. They have been and is still training pilots since 1929. The UK Civil Aviation Authority monitors all aspects of their training syllabus as well as their instructors which enables them to operate above regularly industry standards.